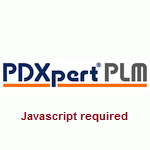 PDXpert software supports the requirement for traditional engineering drawing management systems with a document card record, complete file revision history, design file check-in/check-out, and revision release management. Simply managing document revisions is sometimes not enough. PDXpert software can help you comply with regulatory agencies if your company must conform to ISO-9000 standards, or is subject to FDA 21 CFR Part 820, 21 CFR Part 11 or similar requirements. An informal file server-based repository quickly loses its appeal as both the library and your staff grows. PDXpert software avoids file loss, improves security and speeds file searches. What's the difference between Revision State and Lifecycle Phase?